According to the recent 13F filing of Berkshire Hathaway, Warren Buffett had $107.6 billion invested in 46 different stocks at of the end of second quarter. Verizon Communications Inc. (NYSE:VZ), Kraft Foods Group Inc (NASDAQ:KRFT) and General Motors Company (NYSE:GM) are the stocks with the highest dividend yield in Warren Buffett’s 13F portfolio. (You can see the entire list of Warren Buffett’s holdings). Verizon Communications Inc. (NYSE:VZ) is one of the leading telecommunication companies; and providing communications, information and entertainment products and services with Wireless and Wireline segments. Verizon Communications Inc. (NYSE:VZ) increased its adjusted earnings by over 20% in the last two consecutive quarters. The company reported earnings per share (EPS) of $1.01 in the second quarter of 2014. The company added 1.4 million net retail customers in Wireless segment and achieved 5.3% increase in year-over-year customer revenues in Wireline segment in the second quarter. 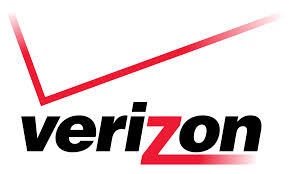 Verizon Communications Inc. (NYSE:VZ) has a market cap of $202B, a P/E ratio of 10.4 and a dividend yield of 4.3%. Warren Buffett had $744 million invested in the company at the end of second quarter. Paul Ruddock and Steve Heinz’s Lansdowne Partners and John Paulson’s Paulson & Co are the other prominent Verizon investors. (See the complete lists of hedge funds which have investments in Verizon). Kraft Foods Group Inc (NASDAQ:KRFT) engages in the food and beverage businesses in United States and Canada. Kraft Foods Group Inc (NASDAQ:KRFT) reported Q2 net revenues of $4.7 billion in the second quarter and increased free cash flow by 13.8% to $454 million in the last two quarters. Kraft Foods Group Inc (NASDAQ:KRFT) has a market cap of $34 billion, a P/E ratio of 14.4 and a dividend yield of 3.62%. Warren Buffett had $11.6 million invested in the company at the end of second quarter. General Motors Company (NYSE:GM) is a leading automotive company operating worldwide. The company has a market cap of $55 billion, P/E ratio of 28 and dividend yield of 3.46%. Warren Buffett had 33 million shares of General Motors Company (NYSE:GM) stocks which worth $1.2 billion at the end of second quarter. Warren Buffett has increased his holdings of GM by 10% during the second quarter of 2014. David Tepper’s Appaloosa Management Lp and William B. Gray’s Orbis Investment Management also have more than $300 million investments in General Motors Company (NYSE:GM).